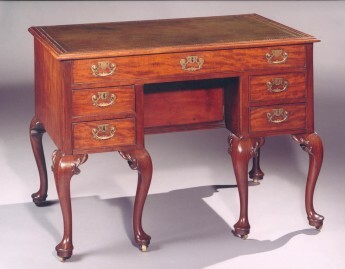 supported on six cabriole legs carved with splayed gadrooned ear-pieces, and club feet, the moulded rectangular top inset with tooled leather, the outside front legs and frieze drawer sliding out to reveal compartments and a tooled leather writing panel, the kneehole with a cupboard door and pair of short drawers each side, the unusual open back-plates with a flat section above the keyhole. English, c. 1745. 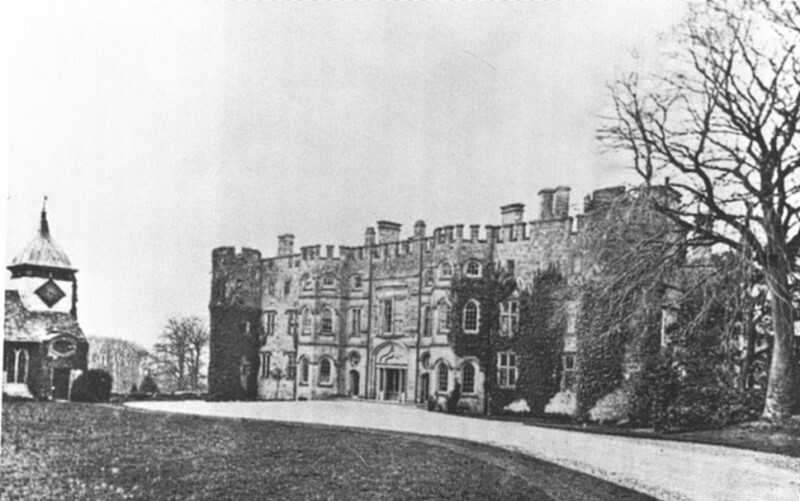 Provenance :- Lord Croft, Croft Castle, Herefordshire. 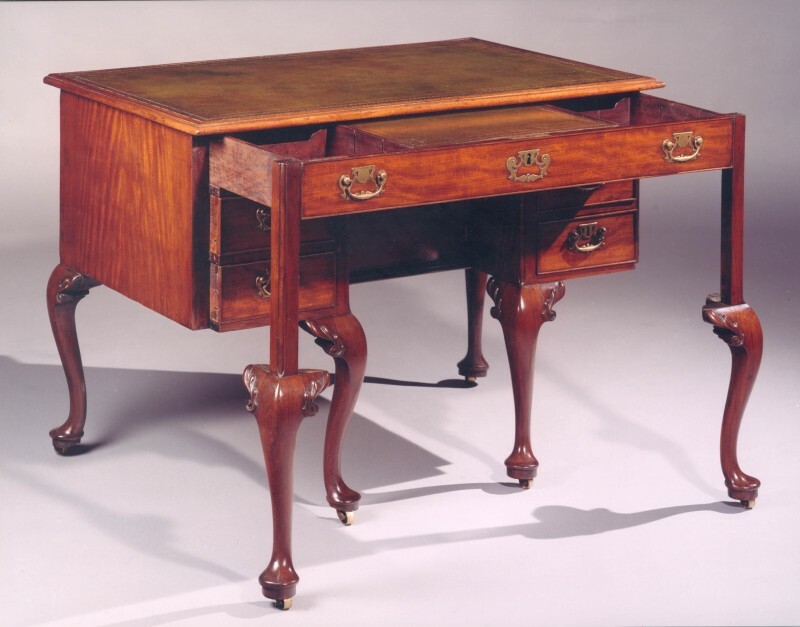 Another writing table of this unusual type, with the outer front legs pulling out, is at Holkham Hall, Norfolk,(1) whilst one of similar shape, but with its drawers opening on the sides and with brass inlay, has been attributed to the circle of John Channon. The form derives from the French bureau Mazarin. 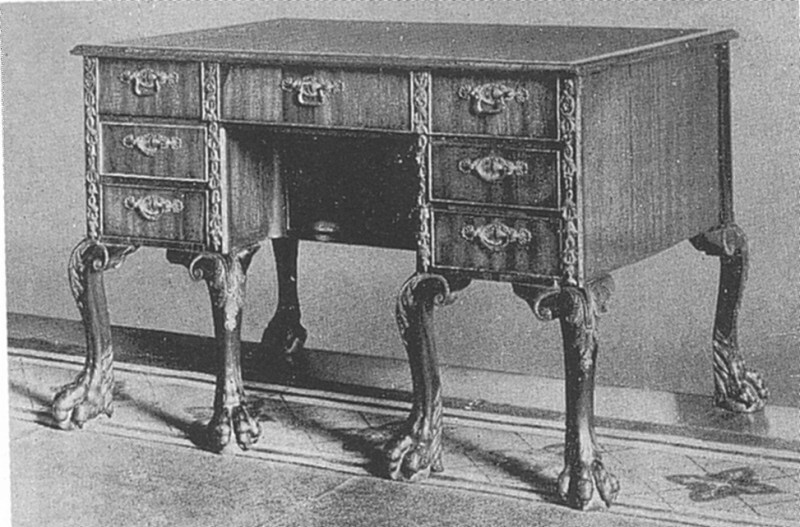 1) See Ralph Edwards, The Dictionary of English Furniture, rev. ed., 1954, Vol. III, fig. 14, p. 246. Also, H. Avray Tipping, English Homes, Period V, Vol. I, 1921, fig. 381, p. 315. 2) See John Channon and brass-inlaid furniture 1730-1760, eds. Christopher Gilbert & Tessa Murdoch, 1993, fig. 77, p. 78.